Fast growing Commercial and Residential area north of Covington and just minutes from the downtown area. Easy access to Hwy 190 and Hwy 25. 1.24 acres For Sale @ $9.50/SF. 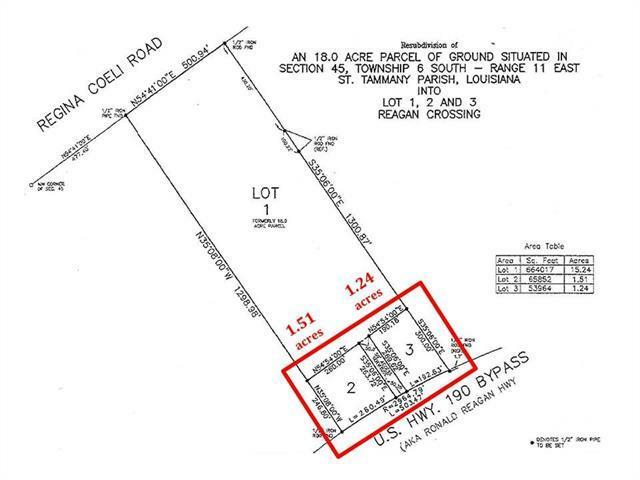 Also available - 1.51 acres (Lot 2), see MLS #2174705.